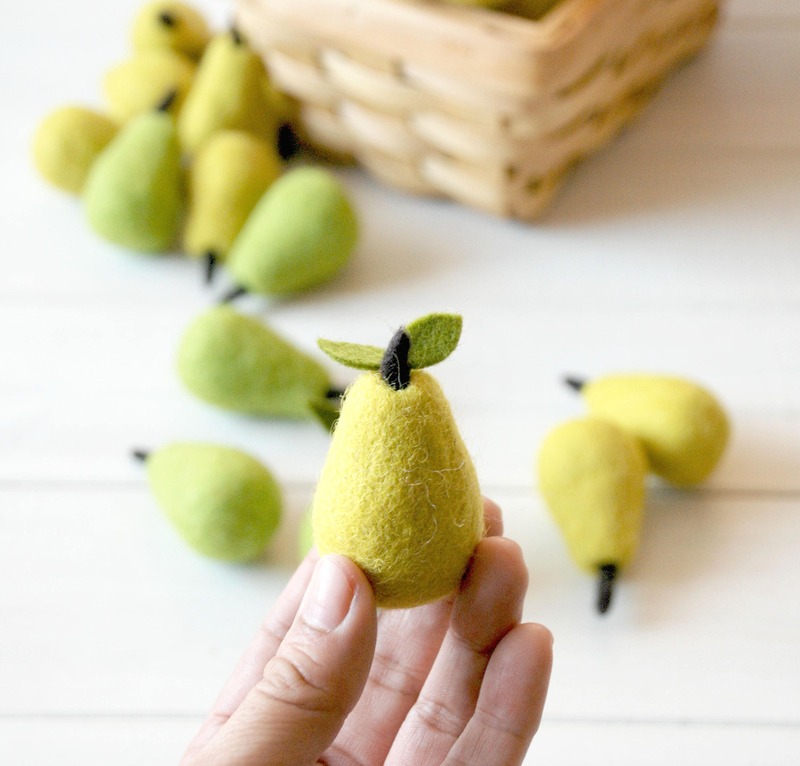 How cute are these little pears? 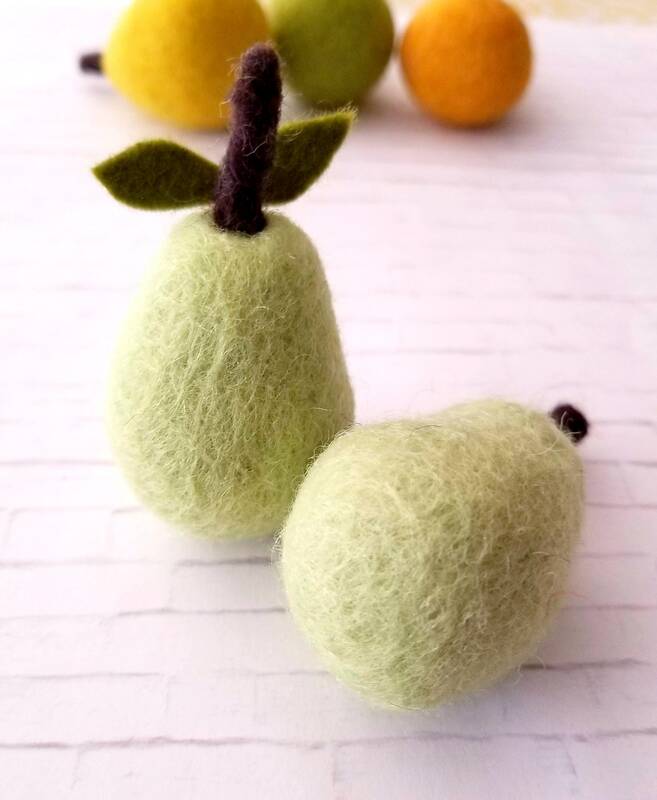 Perfect for Summer Decor!! 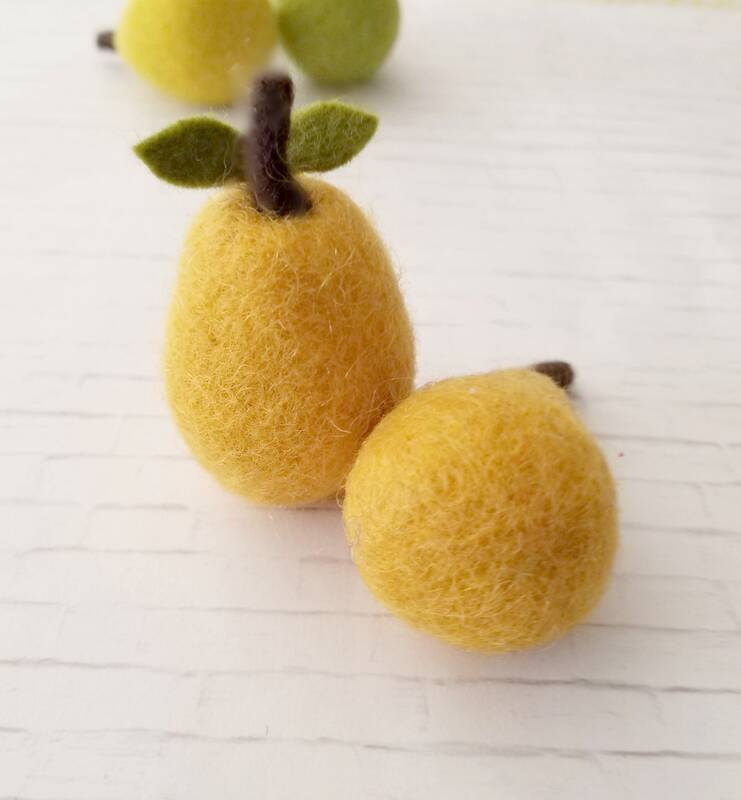 Add it to party hats, napkin holders, garlands, wreaths, flower arrangements or make them into cute little ornaments, key-chains, necklace, etc! 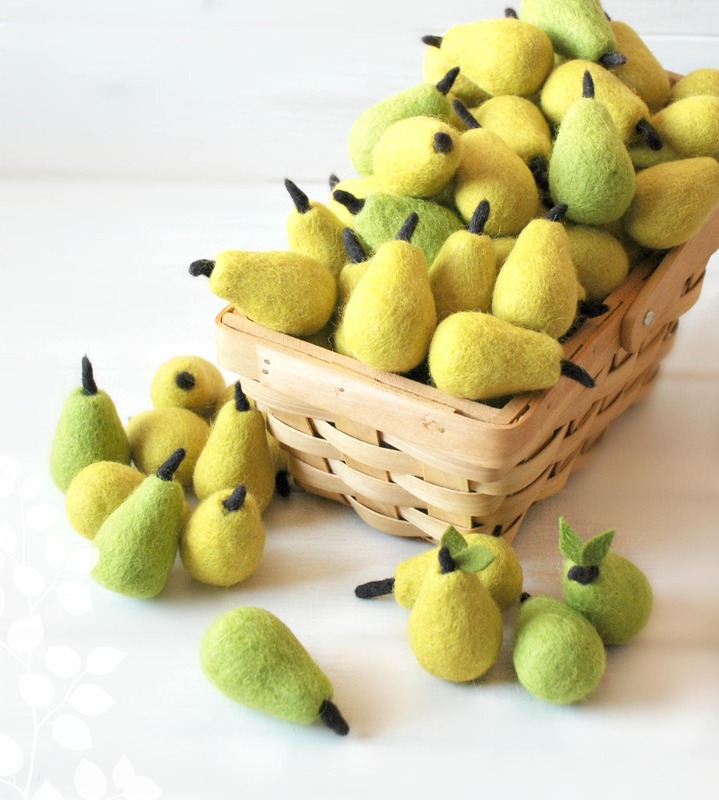 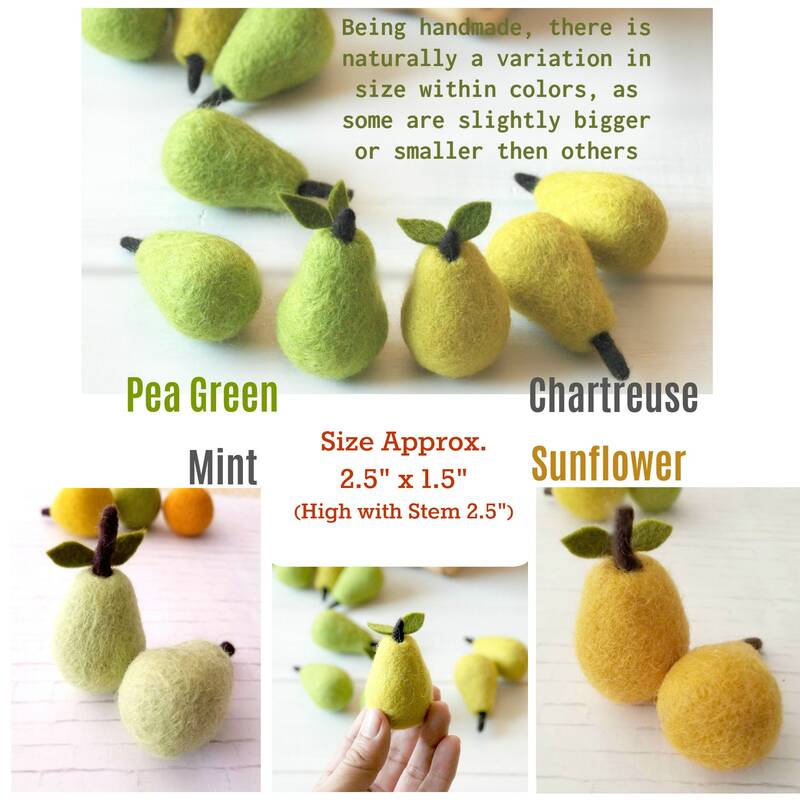 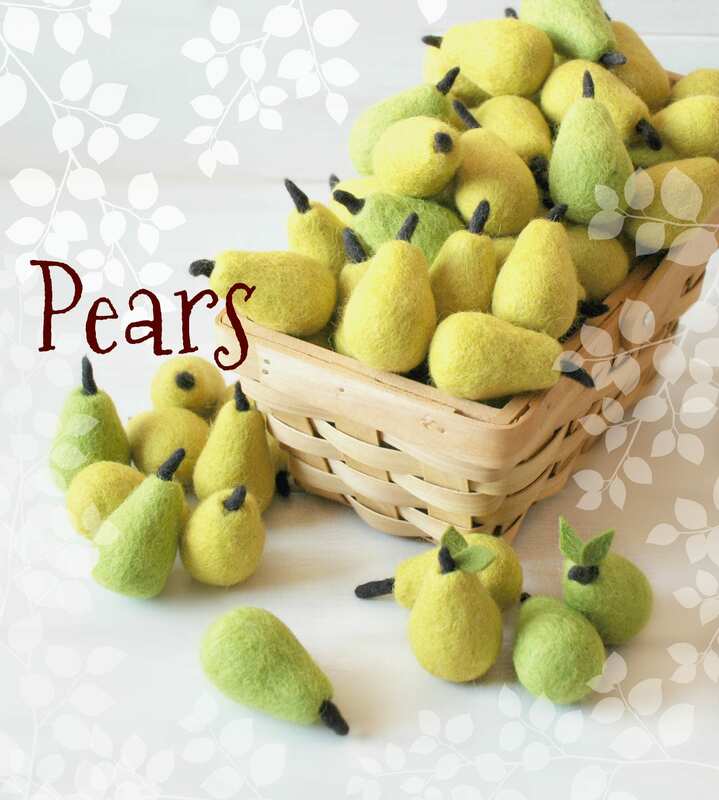 These lovely felt pears are 100% Handmade in Nepal and are dye with Azo-free dyes.